Here we go, my first perry (pear cider) review! Way back in October when Gavin and I were in Edinburgh, we sought out a good local whisky shop for the purposes of treating ourselves to something good, unusual, and slightly rare. 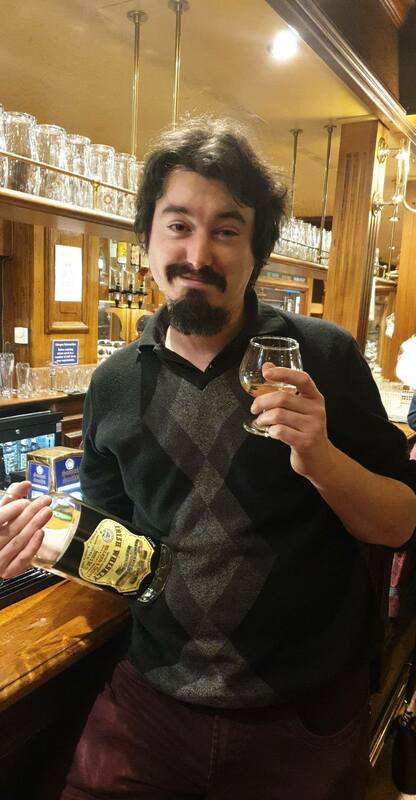 Last Saturday night, on the eve of St. Patrick’s Day, I had the privilege to finish off the Burns Hotel’s last remaining bottle of Walker & Scott Irish Whiskey. On Sunday I went to London. Now here’s a good tale for ya! I went to Leeds to go and watch one of my all-time favourite bands: Blue Öyster Cult! And seeing as I happened to have an unopened bottle of Buckfast Tonic Wine squirrelled away under my bed, and Blue Öyster Cult’s lead guitar player happens to be the one they call Buck Dharma, I put Buck and Buck together in hopes of some enchanted evening! I recently polished off a couple of small bottles that I picked up on my travels in Scotland, and unsurprisingly some tasting notes appeared! As we left Lagavulin, it became apparent to Gavin and I that we were running out of time. Not that we had planned things out much ahead of time, but it seemed as though it might be rather difficult to squeeze in a proper visit at Ardbeg, and still make it to our return ferry of choice on time. 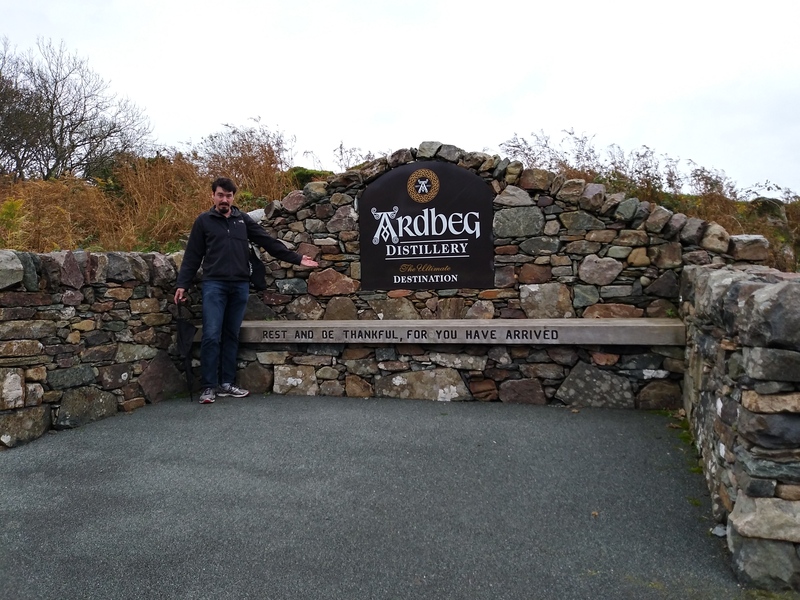 So we ran the .9 of a mile to Ardbeg. 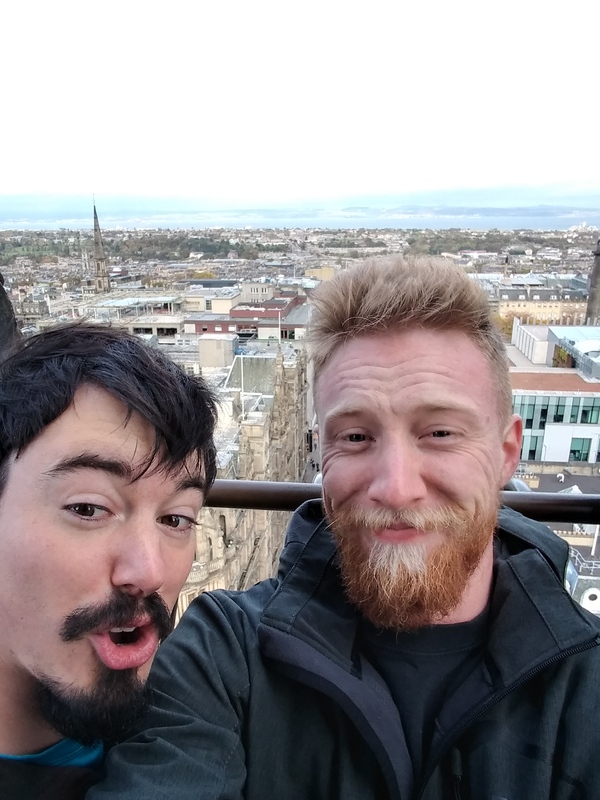 Back when I first visited Glasgow in December 2017, I met a Scottish fella in my hostel dorm room whose father worked for a distillery. 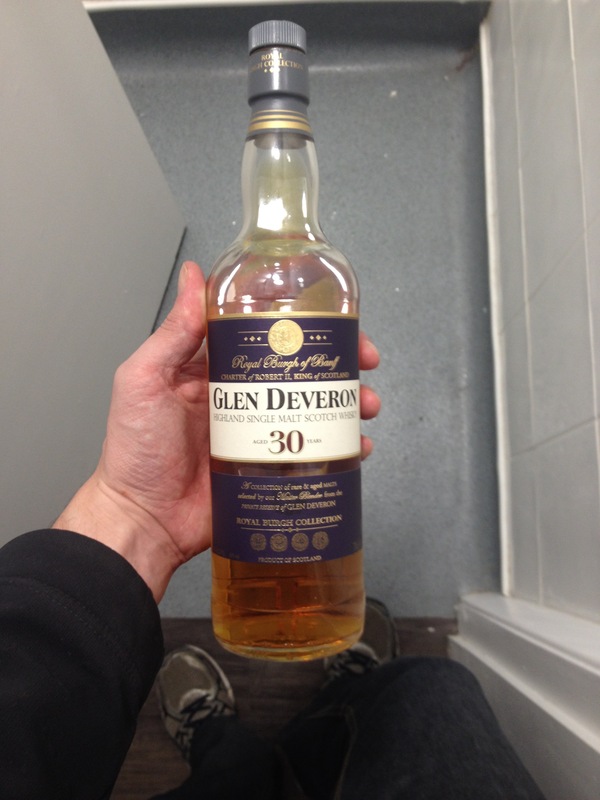 Then he showed me a bottle of 30 year old single malt that his dad had snuck out of the distillery for him; smashing!